In order to access reports on your Sales team, please go to REPORTS → Sales Representative and choose between Commissions and Gross Sales by Rep reporting. The commissions report is a little bit more complicated, due to the fact that you can actually change information (in bulk) from within it. All information is shown in the same report, in order to give you a complete picture of both Managers and their teams in one glance. For this reason, it’s necessary to designate between a Manager’s own sales and those of his employees. Orders submitted by Managers themselves will appear as normal. However, orders submitted by a Managers’ team member will appear under that Managers’ column with (M) after it. 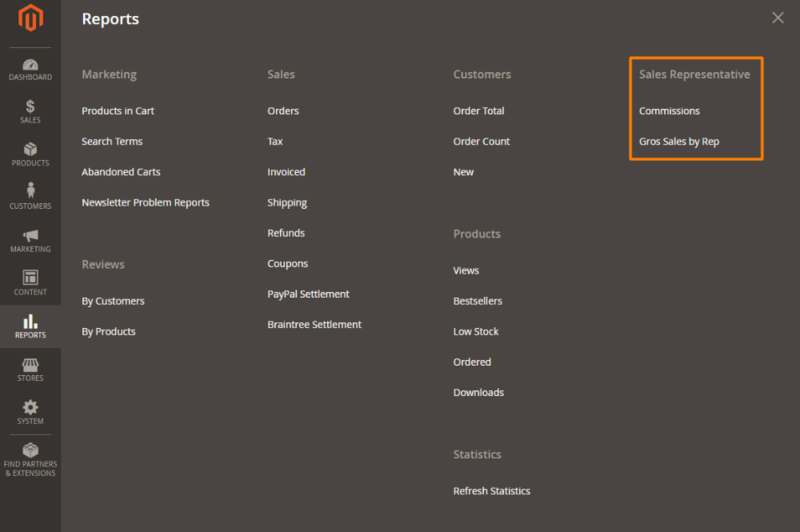 As before, you have breakdown and date range options, as well as the order status inclusion, so that you can run reports and generate commissions only for completed orders, if you like. In this report, however, you can also choose to generate reports only for PAID or UNPAID commission statuses, which can be extremely helpful. You may also notice a “ change selected to” dropdown. 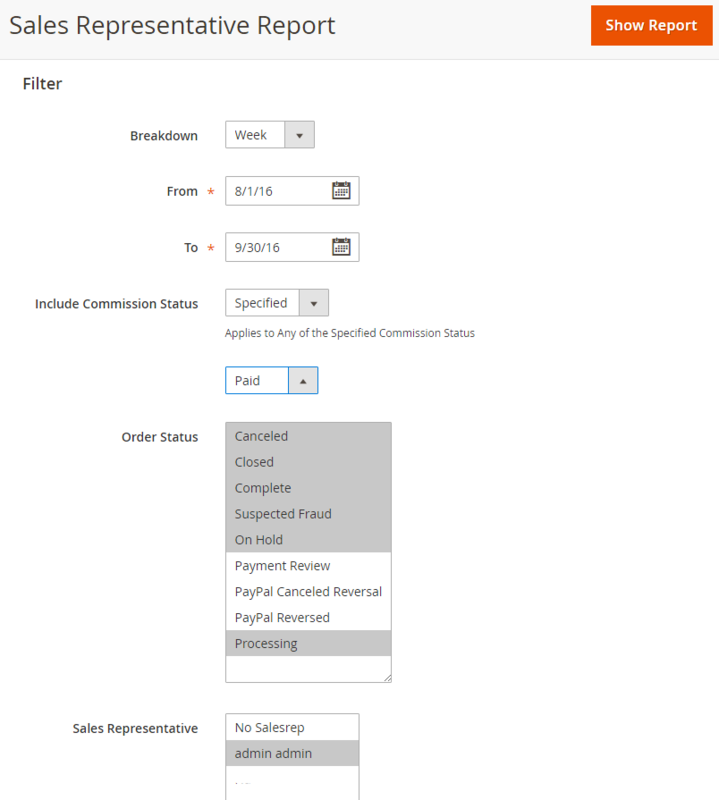 This is the fastest and most effective way to change an order’s commission payment status. 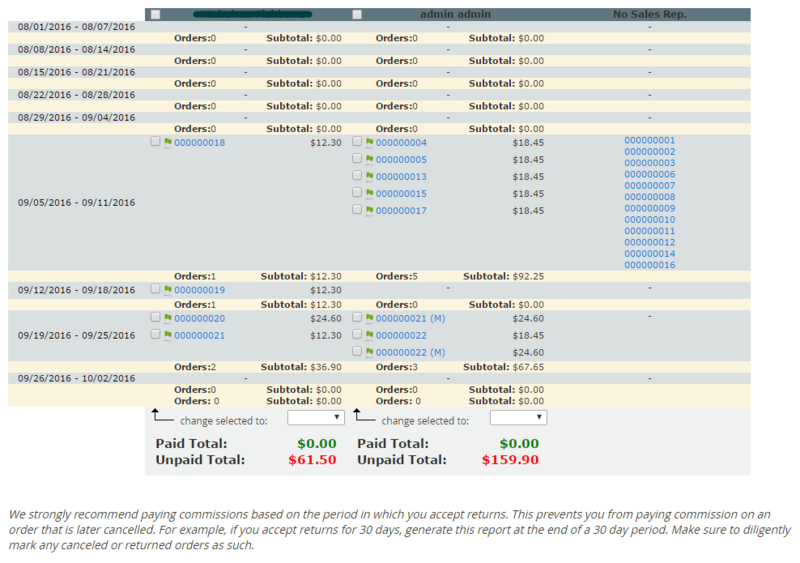 When doing this in bulk, you should probably take care to uncheck “ ineligible” or “canceled” orders from the selection, unless you don’t mind about the future “paid total” being inaccurate. This report is fairly basic, in that it only shows the bottom line sales of a report, without any consideration for subtotals, totals, or commissions. It is meant to show you raw performance numbers. For this reason, it is especially important to use the “Include Order Status” selection if you wish to get more specific information. You may not, for example, count an order towards an employee’s quota if payment has yet to come in. Conversely, you may want to run a report to see how many orders are being returned, to see if an employee is perhaps being too pushy with your customers. As with both our reports, you are able to specify the breakdown to determine how many subtotals you would like to see, as well as a time period.